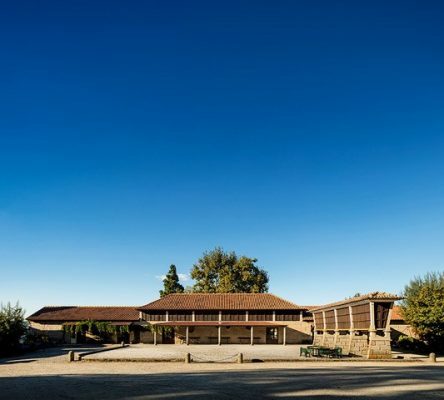 Quinta da Aveleda Winery is located in Penafiel, Portugal, Quinta da Aveleda is one of the main producers of vinho verde in the country and enjoys an unusual built heritage surrounded by beautiful gardens. 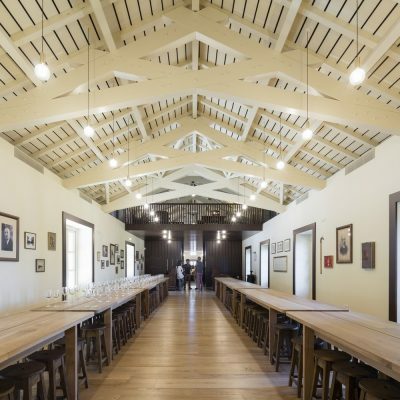 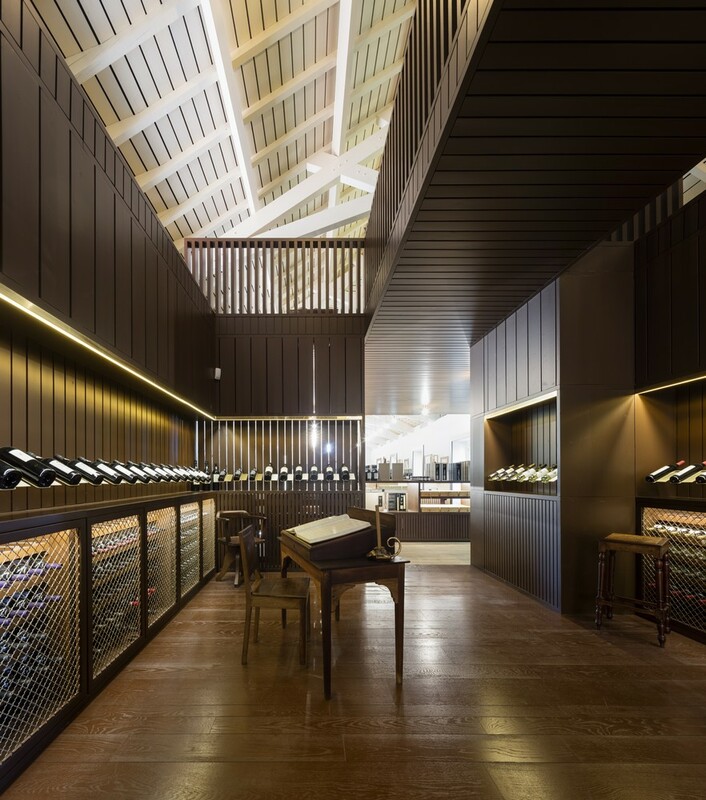 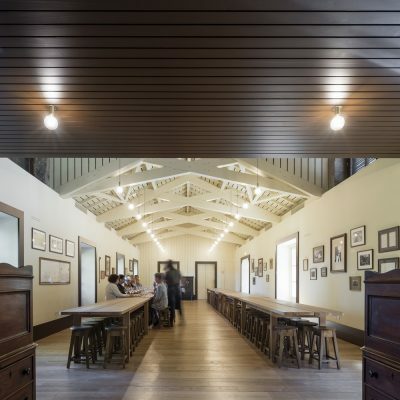 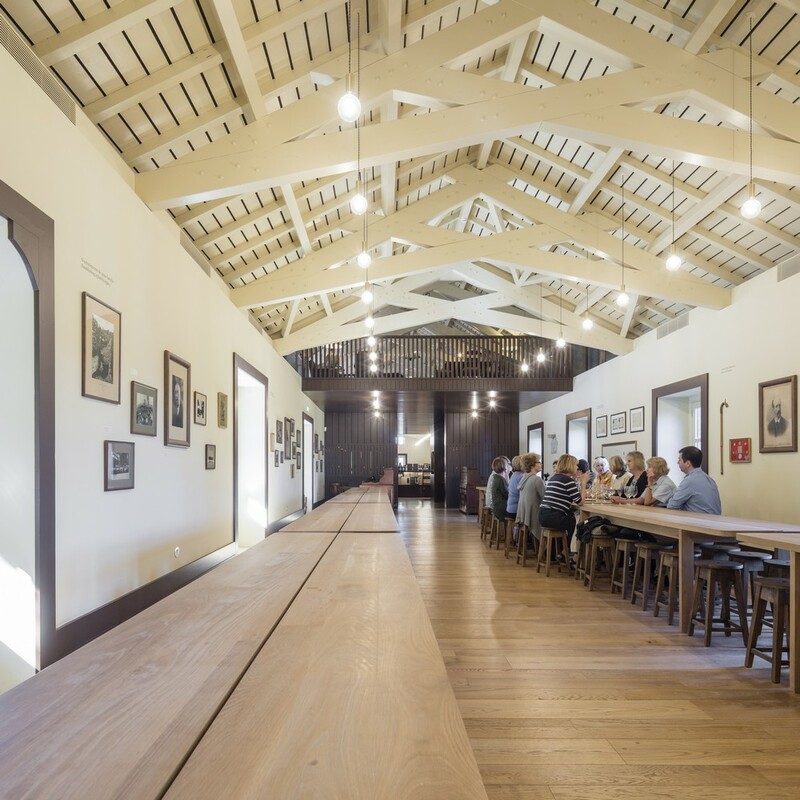 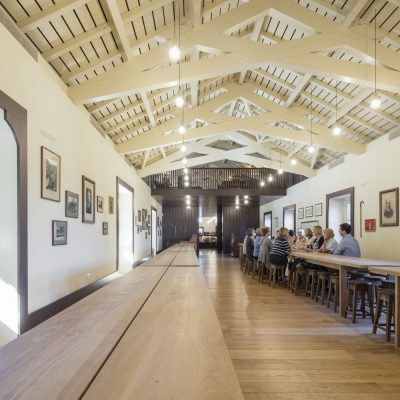 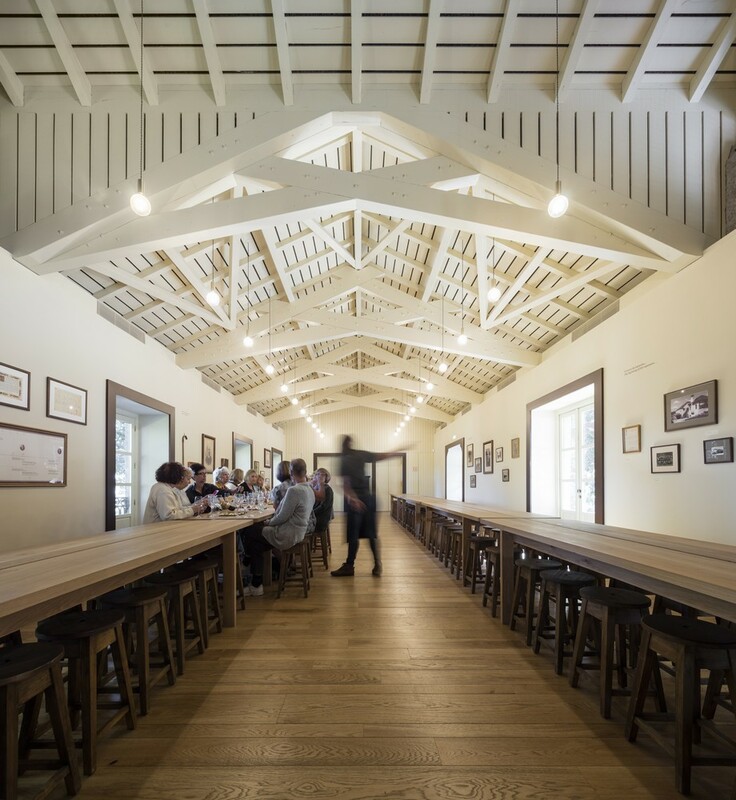 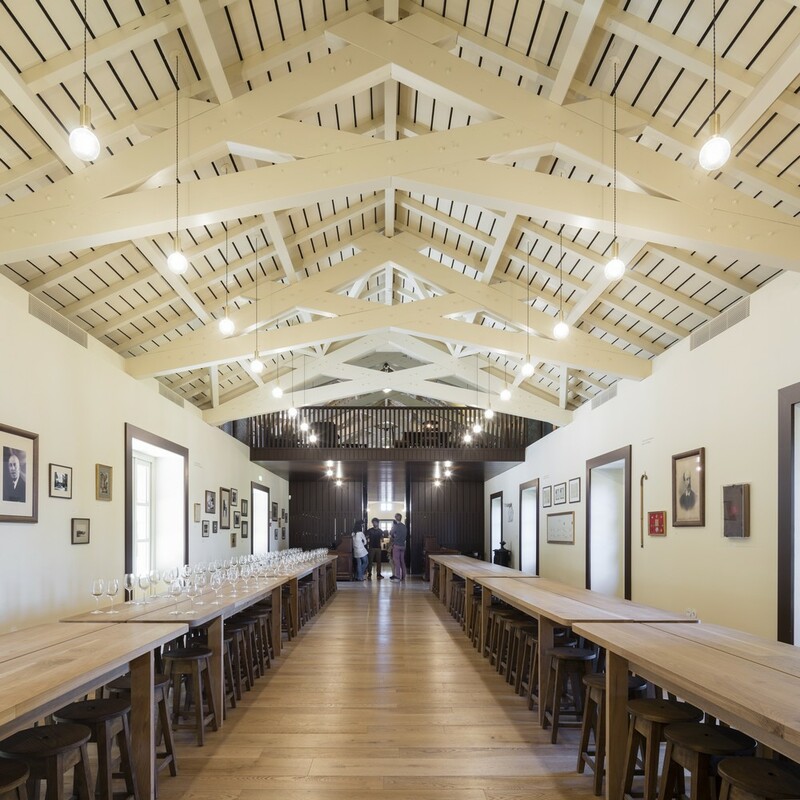 The reconversion of a former agricultural building (barn) to a wine tourism building is based on the spatial potentialities of the pre-existing building and the creation of a visiting route in three acts. 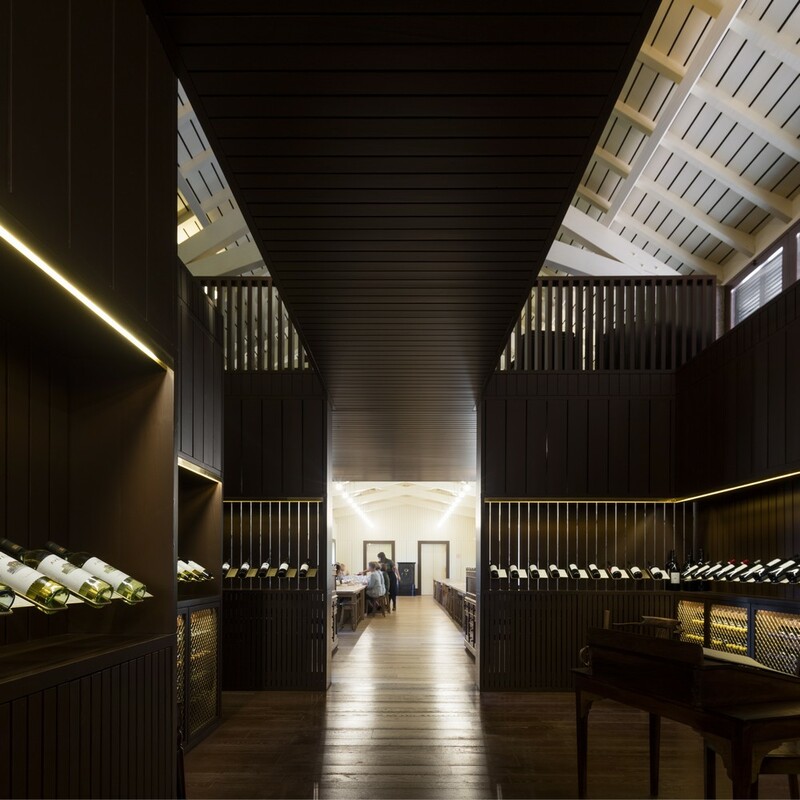 In opposition to the dense compartmentalization originally existing, the building is now organized in a succession of continuous spaces, formally related to the volumetry of the building: the tasting room (complemented by a small kitchen) – in one of the side wings -; the vinoteca and the mezzanine – in the central volume -; and the shop – in the remaining side wing; The tasting room emphasizes the longitudinal character of the building through the linear organization of the long tasting tables, which promote up to a hundred seats; The vinoteca is the space of transition between the tasting room and the shop, also giving access to the mezannine. It intends to be an experience space, dedicated to the exhibition of special wines. 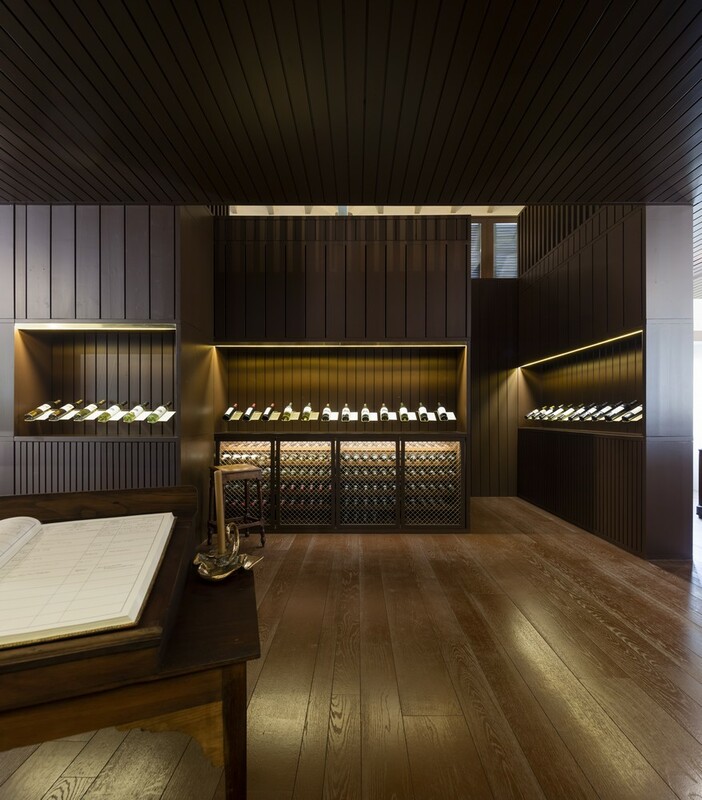 Chromatically distinct, this is a space of pause that seeks to create an intimate atmosphere. This space is intrinsically related to the mezannine, which is organized in two elevated spaces and a connecting bridge, allowing a dominant reading of the two adjacent spaces on the ground floor. 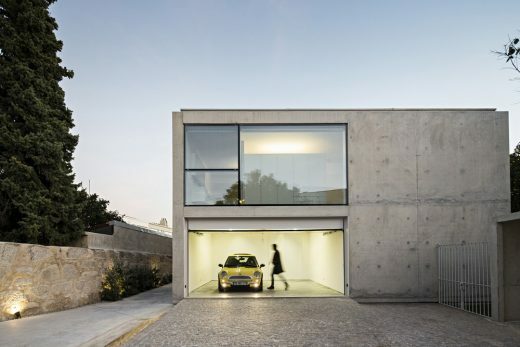 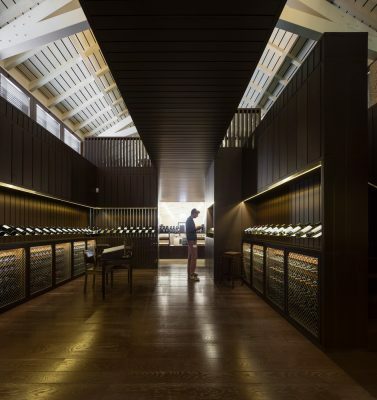 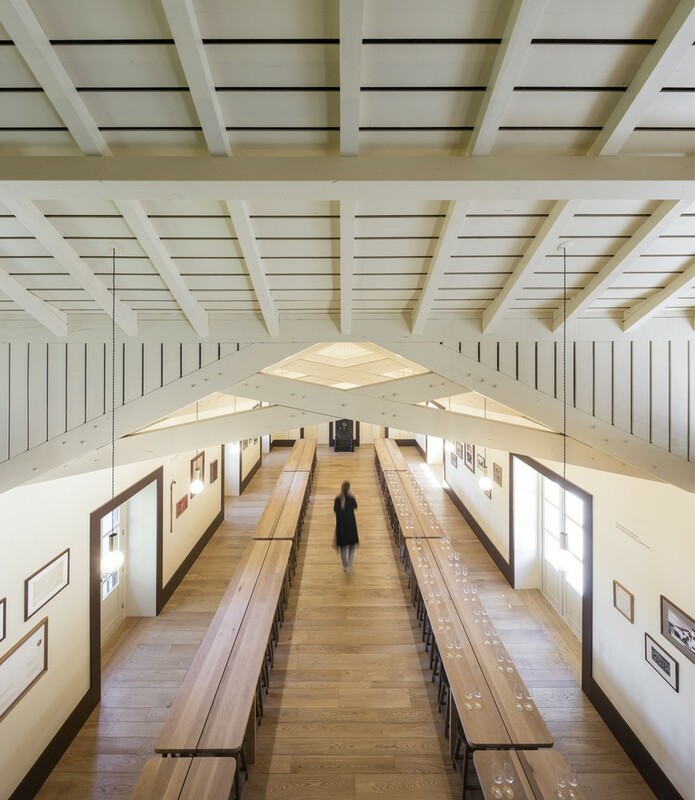 Inherent to the new design of space, is therefore its understanding as museum space as a spatiotemporal opportunity to narrate the history of the family that for five generations produces the vinho verde in that region. Recovering the traditional spirit of painted wood – which can be found in many farms in the north of the country -, the intervention is based on a classic composition between two colors, the beije and the brown – which also existed in other buildings of Quinta da Aveleda -, attributing this time a greater drama and contemporaneity by the assumption of a strong chromatic contrast between different spaces in direct dialogue. 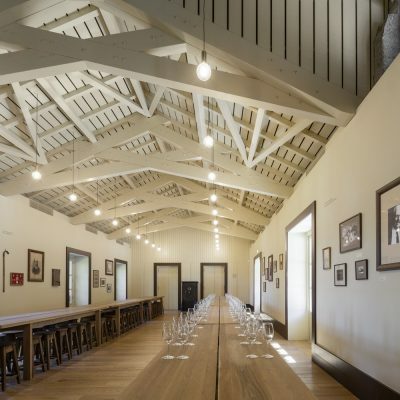 At the structural level, due to technical impossibilities, the original trusses of the building were not maintained: those of the central body – the elegant timber scissor trusses – were no longer in the ideal state of conservation; and those of the side wings had already been tampered with armoured brick. 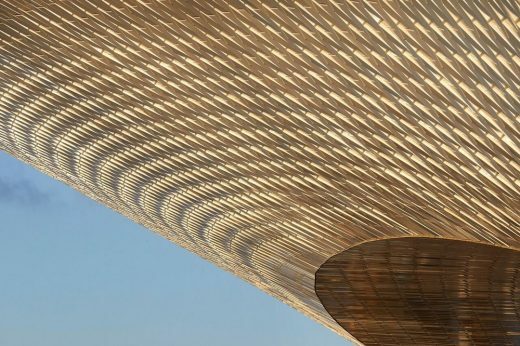 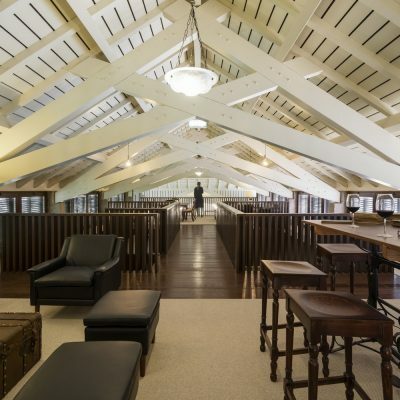 In this sense, the less usual design of the timber scissor trusses was recovered – initially only existing in the central volume of the building – and now also adapted to the lower bodies of the building. 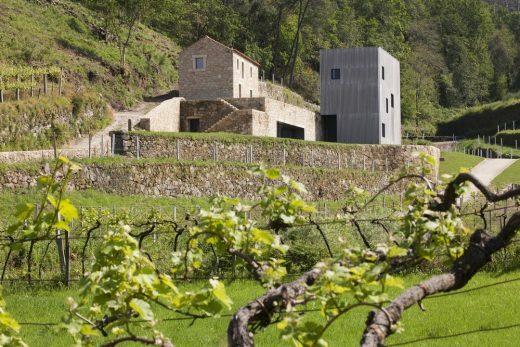 At the same time that they liberate a greater height giving the sensation of a greater spatial amplitude, these unusual asses also assume a singular iconography, characterizing of this particular building, differentiating it from the others.